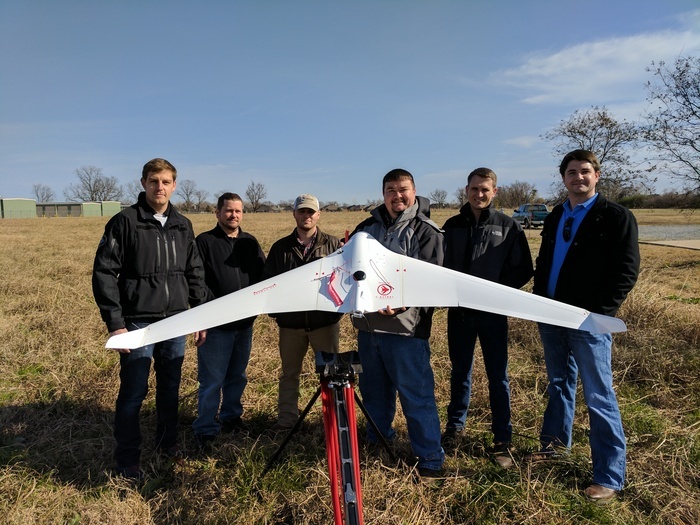 The enthusiasm surrounding unmanned aerial vehicles (UAVs) is high for both hobbyists and industry professionals, so it’s no surprise to see that this enthusiasm is now moving into the world of land surveying. UAV surveys have many benefits for large construction projects: everything from increased speed to greater cost efficiency. 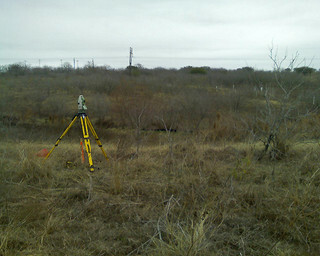 Not to mention how UAVs can survey hard to reach areas. However, it’s important to keep in mind that UAVs need cannot completely replace land-based surveying. Even the most ardent fan of UAV surveys is sure to find certain circumstances where land-based surveying is the preferable option. The key is knowing how to properly balance these two options, in a way that helps you fully take advantage of both, while also avoiding the drawbacks of each. 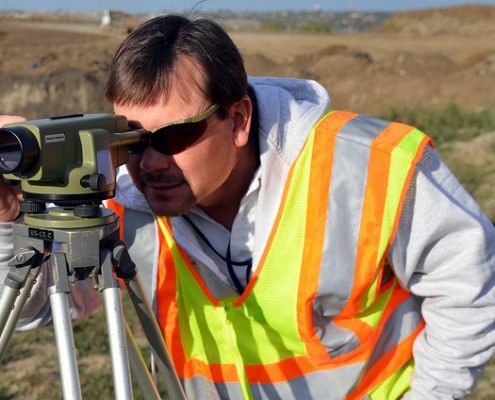 In this post, we’ll explore a few of the reasons why UAV surveys are not right for all situations, and how land-based surveying can fill in those gaps. First, weather and environmental conditions can make UAV surveys difficult or impossible to perform on some projects. For example, flying UAVs in very high winds can be very difficult. Of course, you can always wait for conditions to improve before trying again, but avoiding delays is one of the key reasons most surveyors use UAVs in the first place. Using land-based surveying can help you stay on schedule and ensure you get the data you need during certain non-flyable weather conditions such as high winds. In addition, UAVs are currently incapable of carrying any devices that can see through water, vegetation, and other obstacles. If an area you’re surveying has limited visibility that will prevent UAVs from working to their full capacity, you will, of course, need land-based surveyors to take up the slack in those areas. In the early days of drones, strict federal regulations made large-scale commercial use of drones impractical. Things have certainly loosened up some since then, but there are still certain situations where even using UAV surveys may be against the law. For instance, if your work site is near an airport, a highway, or some other similar piece of infrastructure, you may be limited in where you can legally fly your drone since it could be viewed as a potentially dangerous distraction. It’s important that you learn the regulations that cover UAV surveys, or that you work with an experienced surveying professional who does. Then, you can make sure to plan your surveying work so that you’re using terrestrial surveys in areas where you would not be allowed to use UAVs. While UAVs have certainly come a long way in terms of their ability to capture data in their surveying work, there still may be situations where UAVs simply aren’t enough on their own. In cases like these, using both land-based surveys and UAV surveys together helps ensure that you get both a very high level of detail, as well as a fast and efficient survey that can be turned around quickly. For instance, UAV-based photogrammetry could be paired with land-based laser scanning, with scanners set up from a wide variety of angles to return more complete results. 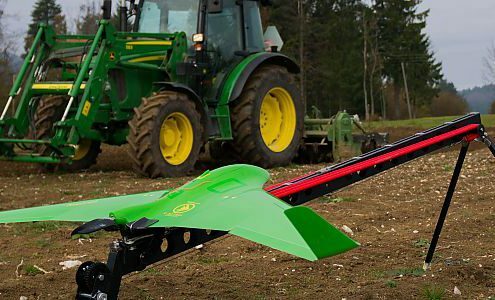 In the end, UAVs should be just one of several different tools in your surveying toolbox. While it’s a tool that’s certainly easy to get excited about, that doesn’t mean you should count on it replacing all of the other tools. There will always be circumstances that require a human touch, so you should be ready to address those circumstances when they arise. 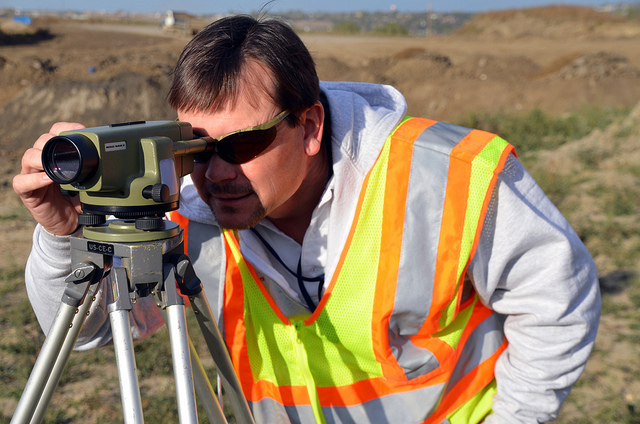 Working with a surveying professional can help you get the right mix of UAV and land-based surveys for your project. Contact Landpoint to learn more.